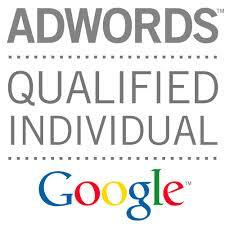 Our goal is to provide the best possible performance from your PPC campaigns. results, actionable metrics & growth. optimize your campaigns while in flight. and valuable information for future campaigns. What is a first page listing worth for you business? I would say priceless...but I suppose that is a bit cliche now. However, it truly is incredibly valuable. People log onto the internet daily to find what they need. PPC & SEM campaigns are one of best ways to reach those customers. With sponsored ad campaigns, you can quickly gain visibility with engaged people who are actively searching for your products or services. The majority of consumers start their searches online before making a purchase decision. If you are not visible...they will likely find competitors instead. You could be losing valuable customers simply because you are not competitive enough in the market. Digital advertising campaigns are one of the fastest ways to make a high impact when starting out, during product launches, special events or promotions. When properly implemented and managed, pay per click advertising has the potential to generate a profitable return on every ad dollar spent with demonstrated results and clear reporting. We provide flexible pay per click (PPC) management services for your convenience. No minimum budget requirement. No hidden fees. Free quote & detailed proposal provided at no cost. We have experience with campaigns across all major search engines, social media sites & major display networks. We handle both text & multi-media display campaigns. With smart tools & creative strategy we deliver exceptional performance across a variety of markets. Please provide some basic information about your business & your estimated budget. This will give us the information we need to make the most of your consultation. why ARE WE GIVING WAY A VALUABLE REPORT? to let you see a little more of what we do. what's in the ppc report? We offer a comprehensive review of your business and your competition to show you exactly how your PPC campaign is stacking up. If you don't have a PPC campaign yet...we can provide a free quote & recommendations for setting up a campaign.